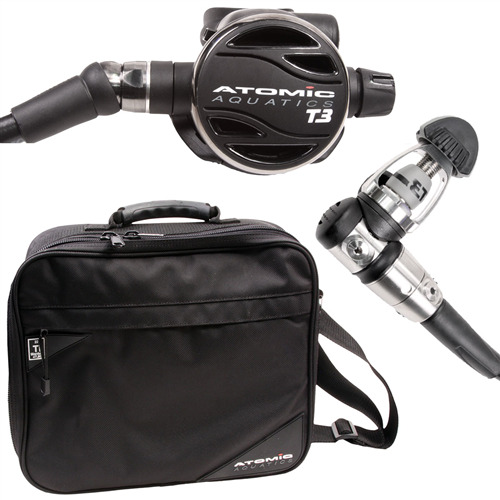 Bringing together exotic materials, groundbreaking design, and superior manufacturing in perfect harmony, Atomic Aquatics has produced the ultimate scuba gear package, "The Best in Dive". 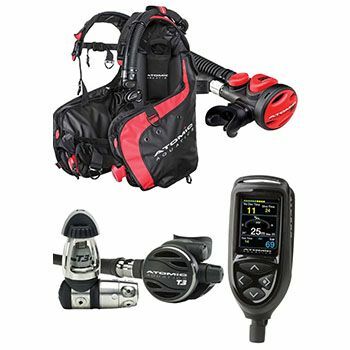 This package is perfect for those divers who want to ensure that no part of their dive gear is a limitation to their diving. 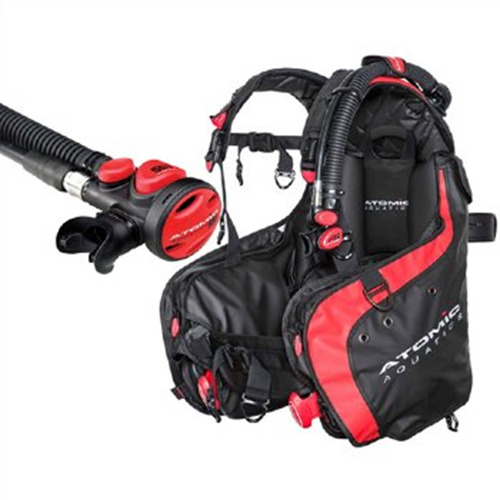 Combining the "The Best in Dive" package with the Abyss Gear Care Bundle will ensure you will maximise your dive adventures. The Atomic BC1 has a ratcheting tank band which quickly adjusts to accommodate a variety of tank sizes, simply push in the moulded belt teeth and it locks into place with minimal effort. The Atomic T3 Yoke Regulator is a titanium sealed and balanced regulator set, and is also the lightest regulator set on the market! Weighing in at 770g! All Titanium construction with a unique sealed piston design this is a must-have! Including a swivel turret with 5 LP and 2 HP ports, featuring a 360-degree titanium swivel and balanced chamber on the second stage. 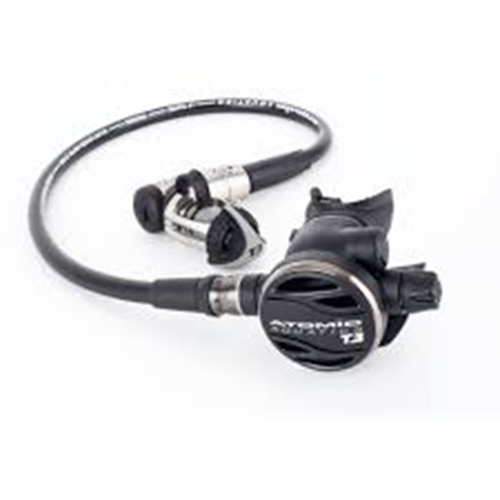 Also featuring Atomics Patented AFC automatic flow control valve. · First stage components are precision-machined from solid bar Titanium that is lightweight and corrosion-free. · High-flow second stage case and magnum lever design that significantly lowers breathing effort at any depth from shallow water to beyond the limits. · The combined weight of the Atomic T3 First & Second Stage is under 1.7 lbs. The Atomic Cobalt II Dive Computer is super easy to use with intuitive menus and a full-colour bright display screen, which is easy to read. Showcasing a powerful microprocessor, an integrated compass, multigas mode (with up to 6 different gas mixes) and the great and user-friendly menu. 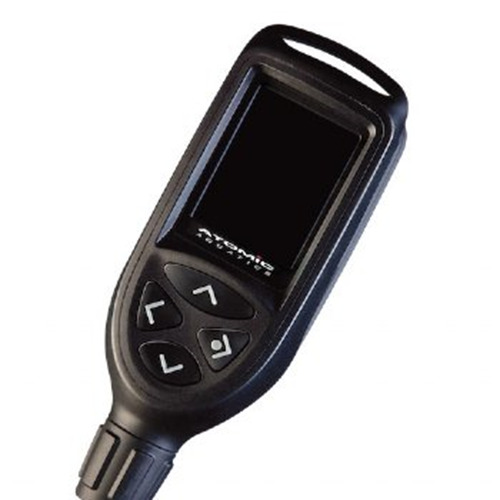 The Atomic Cobalt II Dive Computer uses a rechargeable lithium-ion battery that can be charged by USB or AC and gives up to 60 hours of Dive time per charge. (it discharges at about 1.5% battery per day). Including a high-pressure quick disconnect hose and a logbook of up to 600 hours of diving being installed. 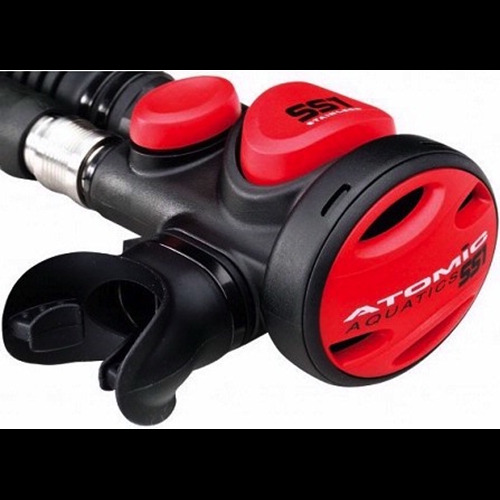 The Atomic Cobalt II Dive Computer can do nitrox mixes up to 99%.